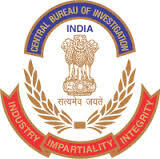 New Delhi: CBI has named its former director Amar Pratap Singh as an accused along with controversial meat exporter Moin Qureshi and some others in a corruption case. CBI sources said, an FIR was registered against Singh for allegedly favouring Qureshi. The agency also carried out searches at Singh’s residence. Raids were also conducted in Delhi, Ghaziabad, Hyderabad and Chennai in connection with the case. The FIR was registered on the complaint of Enforcement Directorate (ED), the country’s anti-money laundering probe agency. Qureshi has been accused of accepting money from several people for securing favours from public servants. Earlier this year, a Look Out Circular was issued by the ED against Qureshi to ensure his presence during the probe. Qureshi has been facing probes by the ED as well as Income-Tax Department for alleged tax evasion, money-laundering and related offences.